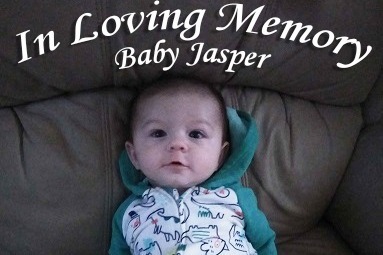 We are truly mourning the passing of one of our team member’s newborn twin boy, Jasper. Jasper was only 6 months and 7 days old and passed away unexpectedly. Jennifer Carter has been a loyal employee of Grieco Kia of Delray Beach for 3 years. As a single mother, she is now left to raise her family of 5 children, 1 newborn twin, and now the abrupt loss of Jasper. This campaign is being started by Grieco Kia of Delray Beach to assist Jennifer and her family with their upcoming funeral costs and expenses. Grieco Automotive Group is committed to matching every dollar raised up to $3,000, so please help us reach our goal and to help Jennifer and her family during this time of mourning. Please contribute what you are able to, even if that is just “sharing” this post with your friends and family. - Our thoughts, efforts, and prayers are with the Carter family.